Last week, I demonstrated some changes to the combat mechanics: faster swats, tougher enemies and hitstun. 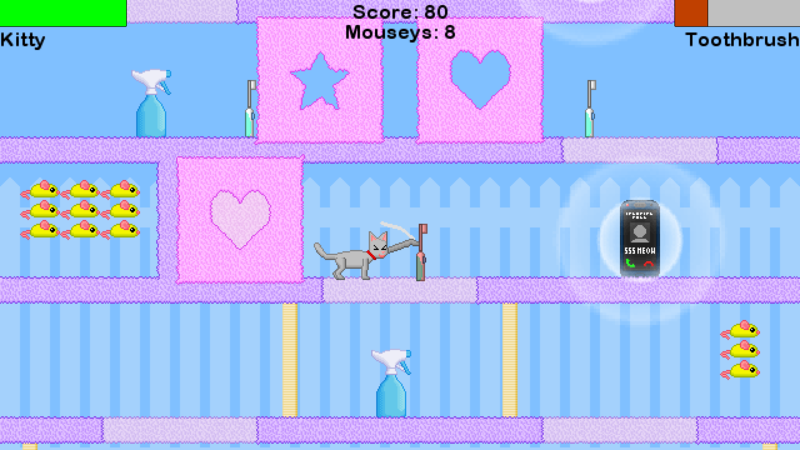 This week, I made some more additions to make “Cat Project” even more action-oriented: knockback and attack-cancelling. begins its new career as part of a juggling act. Weak swats now push enemies back slightly; they can also be cancelled into another weak swat if it connects with an enemy, like in many beat ’em up and fighting games. Strong swats push enemies back further (though the hitstun the same, at least for now), but cannot be cancelled. Begone, evil spirit of good dental health!